Joyner became the father to a daughter, Trinity, in the interim, and he notes that the baby girl had an impact on the creative process. And there is an exuberance that comes through on tracks such as the title track, which is one of the several tracks where Joyner overdubs his performances of the soprano, alto, tenor and baritone saxophones to create what he calls a layer of horns. The track that Joyner titled in honor of his daughter is a more of a pensive number, and with the combination Joyner’s saxophone creativity involved in an instrumental give and take with Steve Oliver’s Latin tinged guitar solo work sets this track apart. ‘Smooth’ or contemporary jazz, the subgenre that employs many of the elements of R&B and hip-hop, has struggled to find its footing in the mainstream music landscape. Often, the genre has looked to an element that served acoustic jazz well in the past by seeking reimagine contemporary music in an instrumental jazz format, and Joyner goes that route on Main Street Beat, with covers of Bruno Mars “Treasure” and Justin Timberlake’s “Can’t Stop the Feeling.” These days, contemporary jazz is the genre where fans of instrumental funk come to get their itch scratched. That formula works better on the “Treasure” than on “Can’t Stop the Feeling,” a cut that sounds repetitive. Contemporary jazz has sometimes been content to go right down the middle of the road. A little bit jazz and little bit R&B. However, the best work in the genre stands on one side or the other. 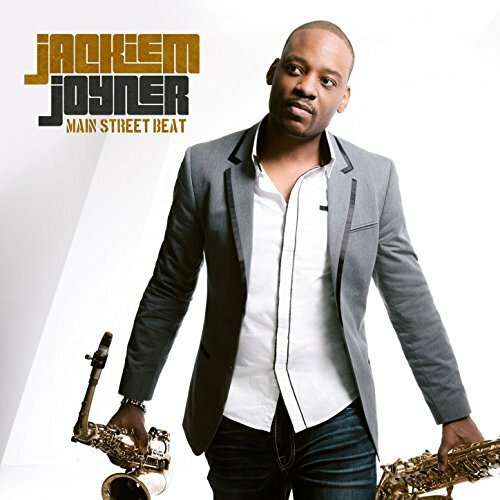 On Main Street Beat, Joyner stands firmly on the funk side, and that means that artist and father are in a pretty good place. Recommended.